Building And Pest Inspection Services: What Exact Mistakes You Should Avoid? Investing in a property is one of the biggest decisions that you would ever make. Needless to mention, it is always important to have a wonderful home where you can enjoy a good time with your loved ones. No matter the reasons why you have decided to invest in a property, it is important to be wise and careful at the same time. Of course, there are professionals or experts who will help you to choose the best home. In case if you are moving to a new location you always have the option to hire a real estate agent. These professional agents can help you find the best property which will meet all your needs. Furthermore, you can also look for the best banking institutions to help you arrange the funds required to buy a home. The most important fact is, before buying a new home; you should always look for the best building and pest inspection service. 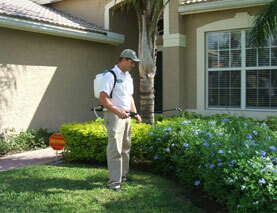 These services not only protect the property, but also keep the premises pest-free. Unfortunately, sometimes, they may also turn into a complete disaster due to certain mistakes. When you are looking for a property, chances are that you will focus on the exterior space of the property. However, you never really know what the inside area is. Therefore, go through the interiors properly. It is always important to ensure that the condition of the property is great, and not just good. Safety should also be one of the most important aspects to consider when you are inspecting the home. Of course, you might find different furniture or any other kind of items in the home. Don’t forget to check the hidden areas of the home. Keep all these great tips in mind when inspecting a property. Book a Pest Inspection now.